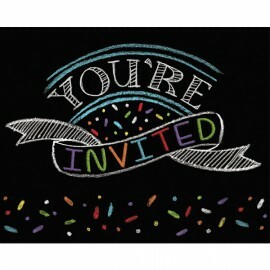 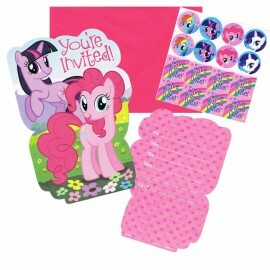 Block Party Invitations Gatefold & Envelopes Pack of 8..
Chalk Birthday Invitations Foldover & Blue Envelopes Pack of 8..
My Little Pony Invitations Includes Envelopes, Seals & Save the Date Stickers Pack of 8..
One Little Star Boy Invitations 1st Birthday You're Invited & Envelopes 13cm x 10cm Pack of 8..
One Little Star Girl Invitations 1st Birthday You're Invited & Envelopes 13cm x 10cm Pack of 8..
One Wild Boy Invitations 1st Birthday Party! 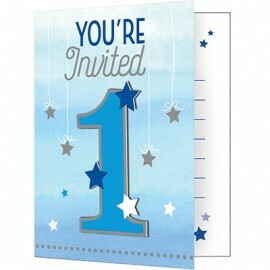 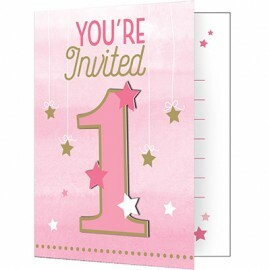 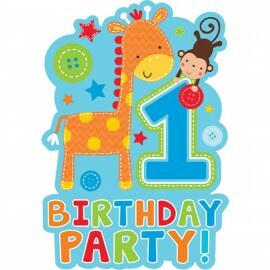 One Wild Boy Invitations 1st Birthday Party! 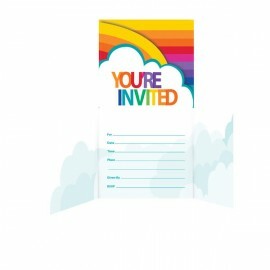 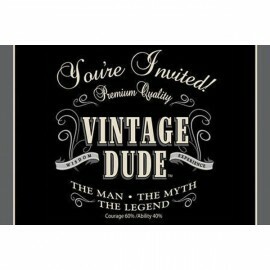 8 x Invites, 8 x Blue Envelopes & 8 x Save the Date Stickers Pack of 8..
Rainbow Invitations You're Invited Diecut Gatefold (11cm x 11cm) Pack of 8..
Vintage Dude Birthday Invitations, Gatefold Cardboard and are lined inside with headings for the following party details: For, Date, Time, Place, Given By and R.S.V.P. 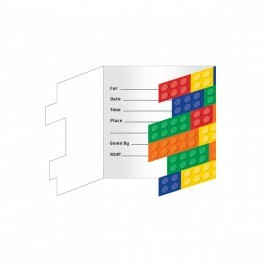 Pack of 8..